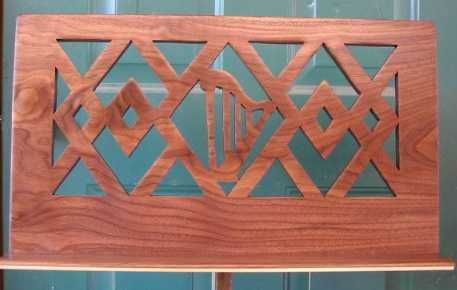 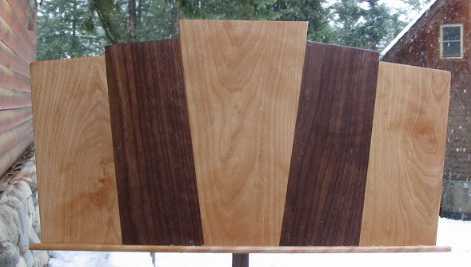 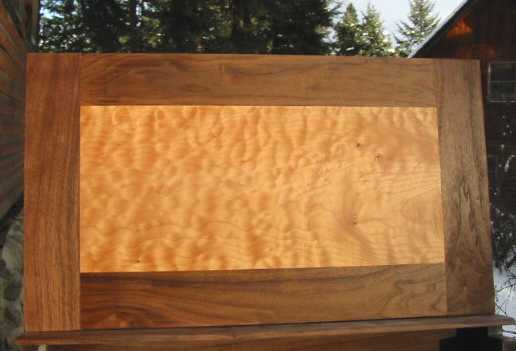 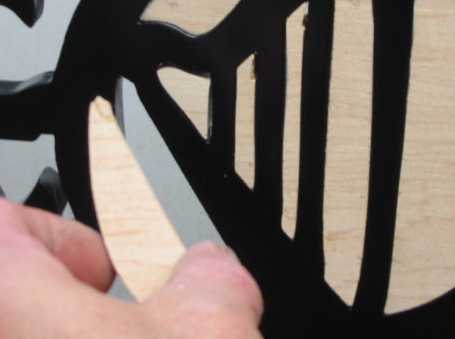 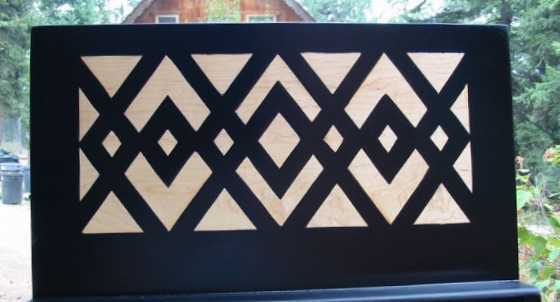 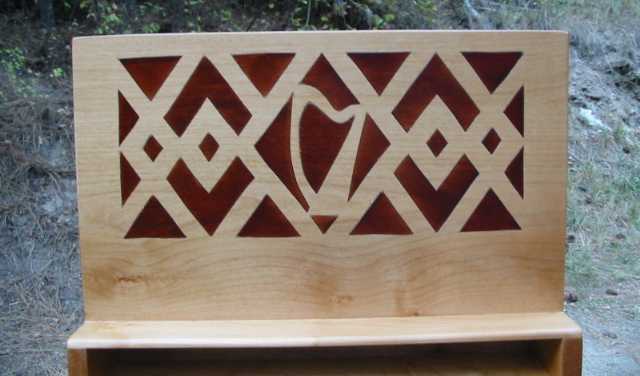 inlay is seen on both sides !! 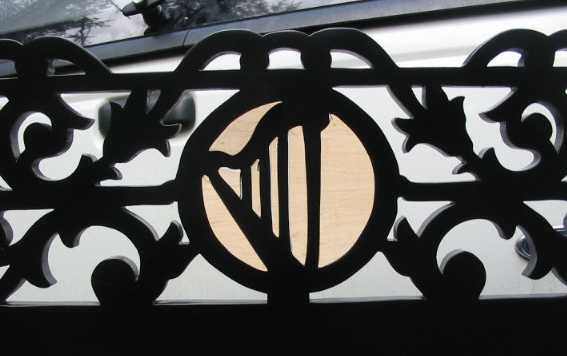 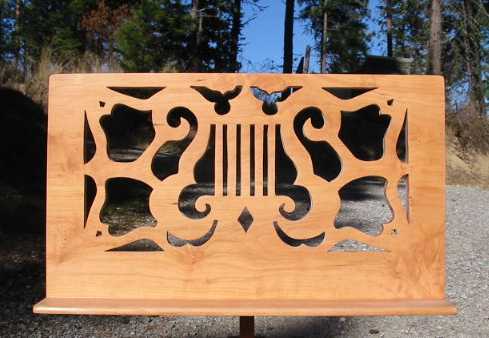 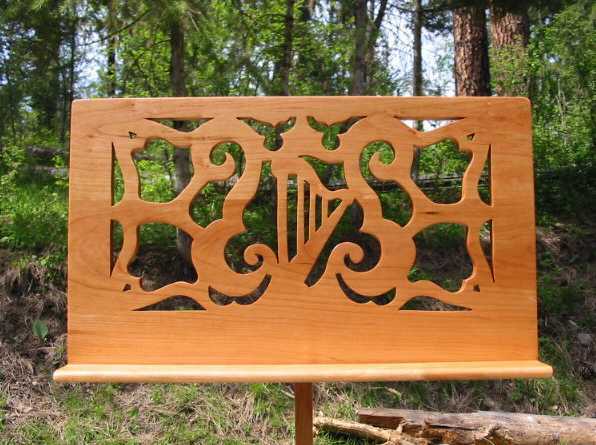 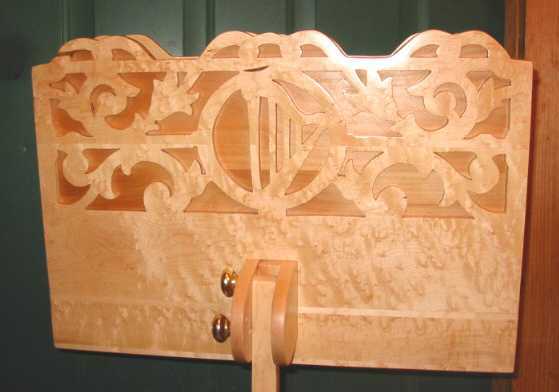 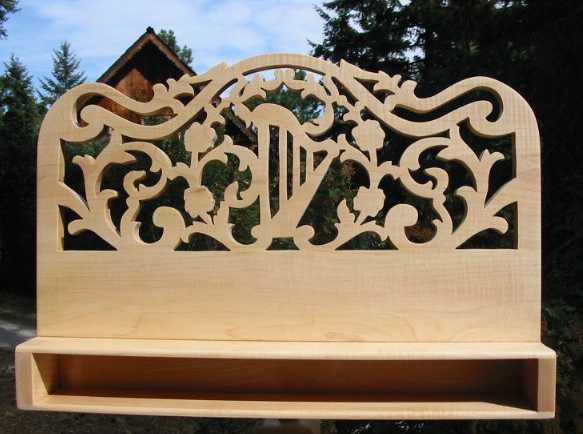 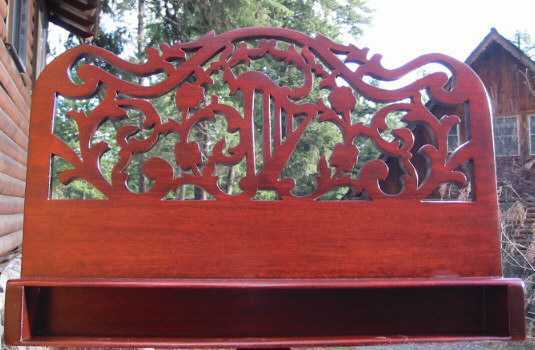 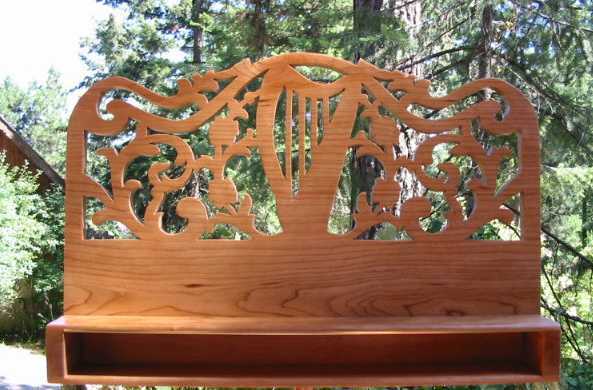 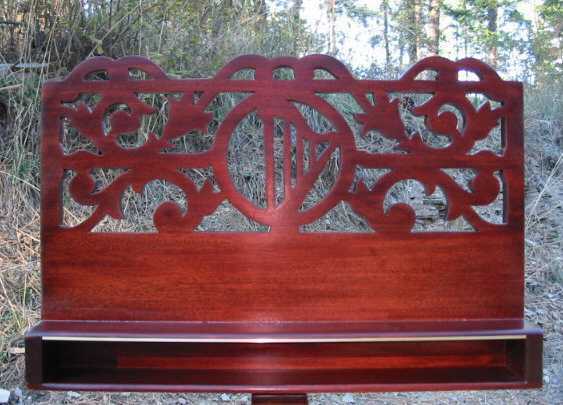 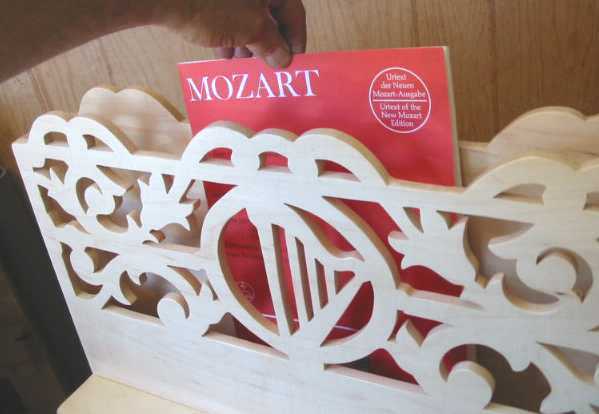 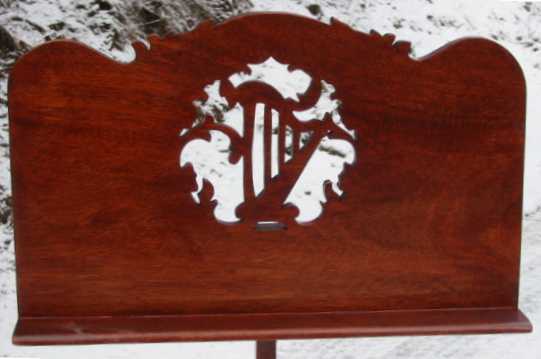 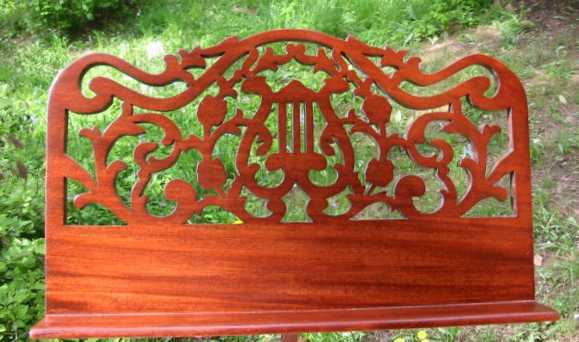 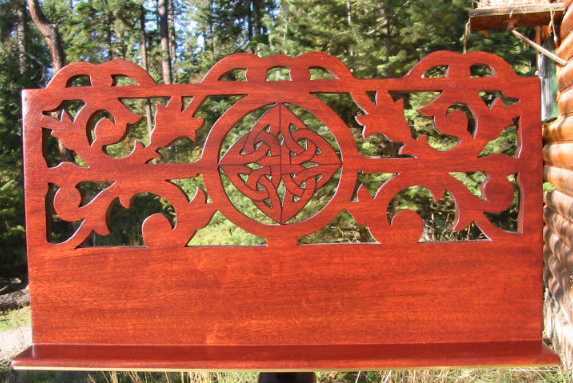 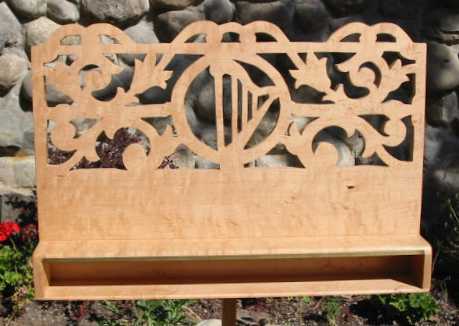 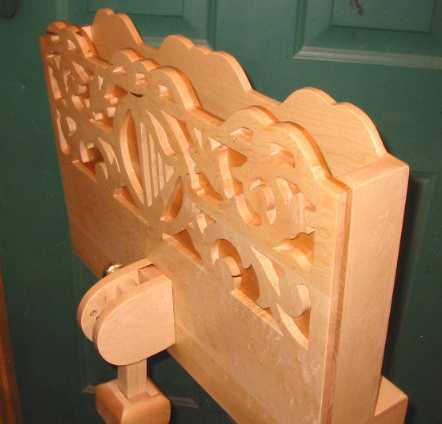 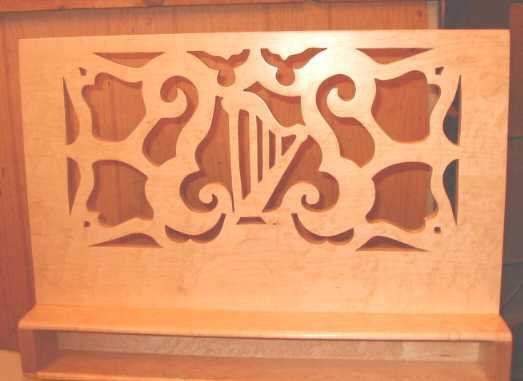 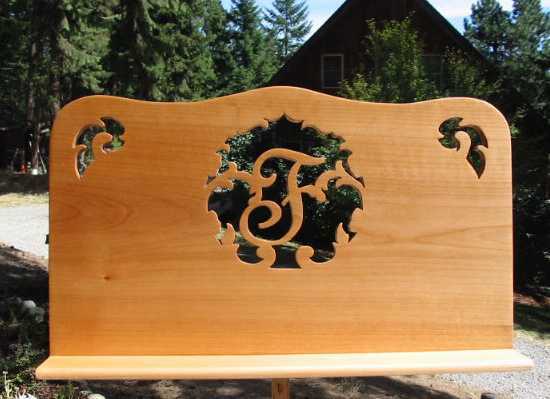 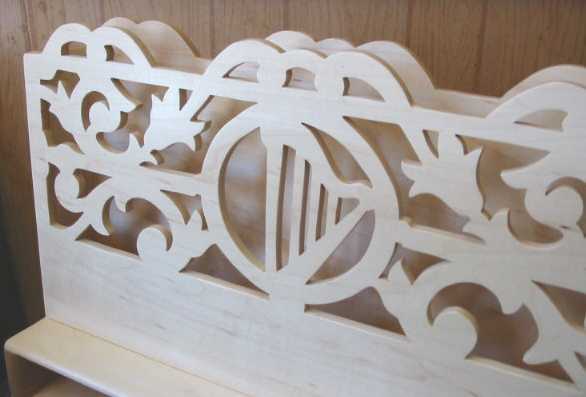 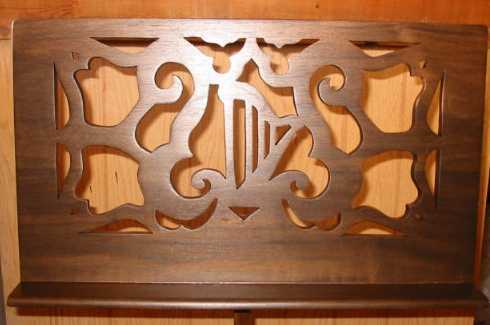 This is basically half of the Victorian lyre design as shown above. 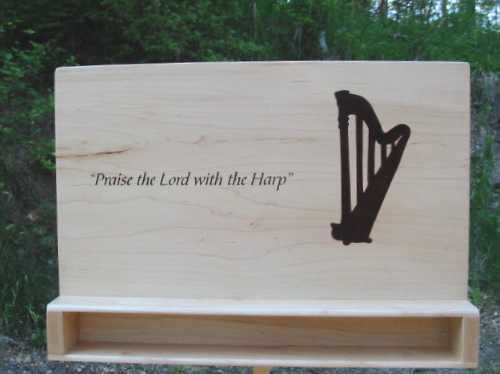 years and can usually get the best wood and color to match your harp. 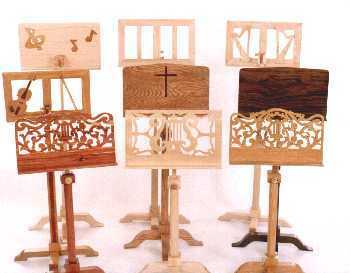 available from Mister Standman Music Stands. 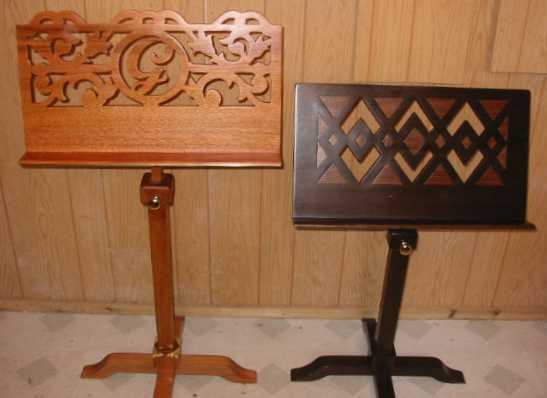 stands are all handmade he can make the height go as low as 20". 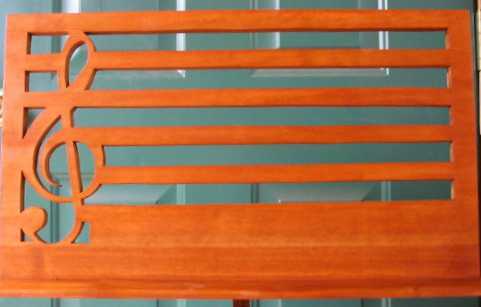 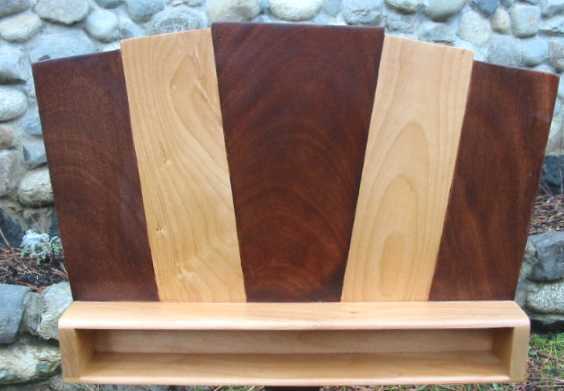 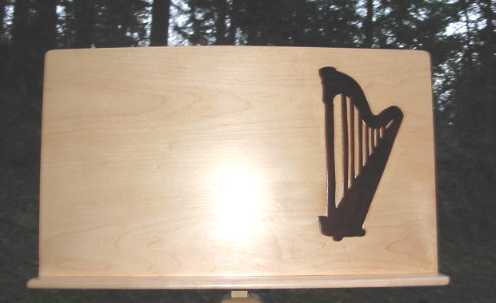 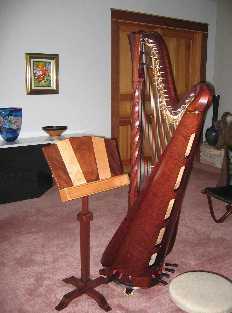 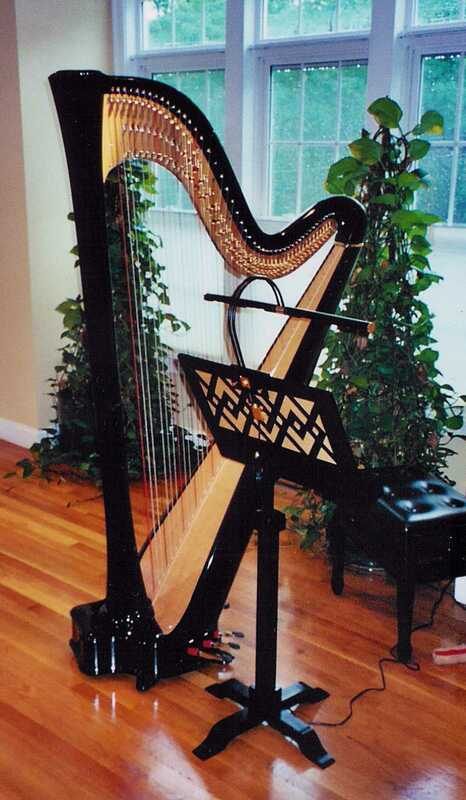 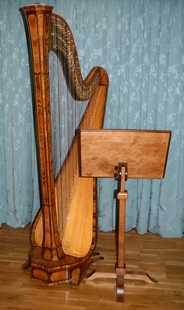 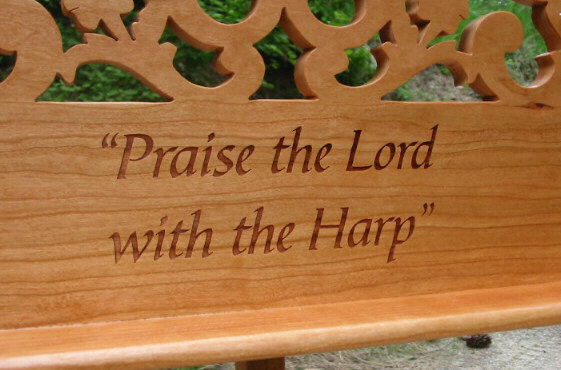 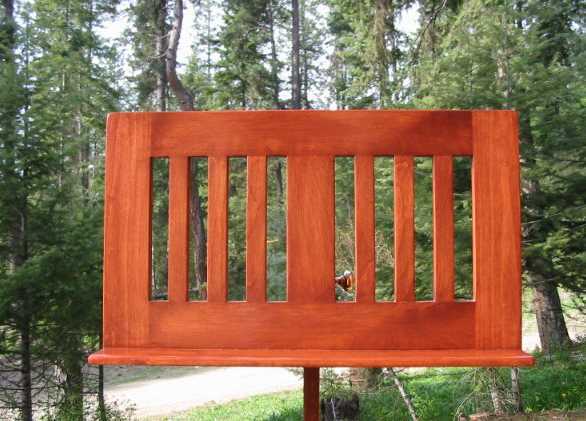 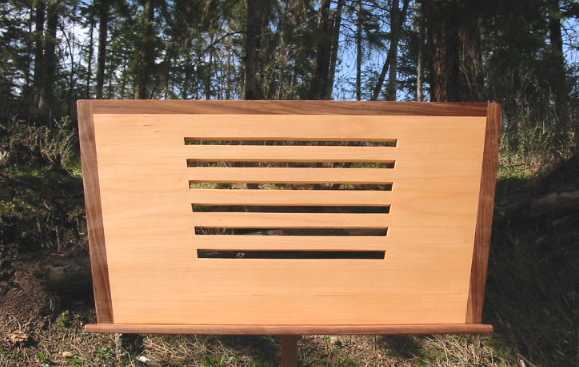 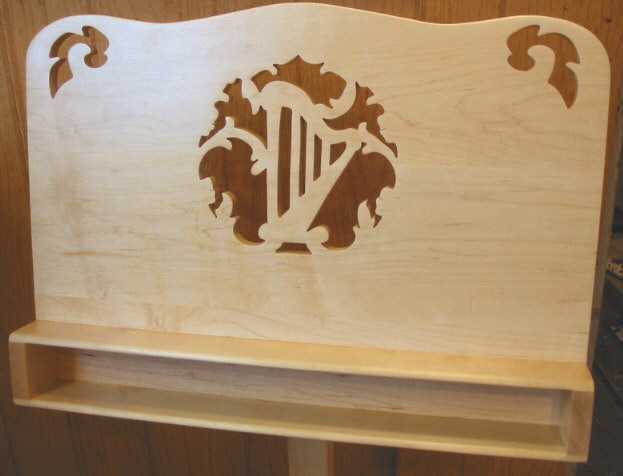 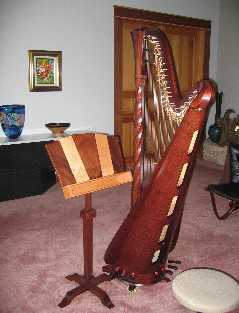 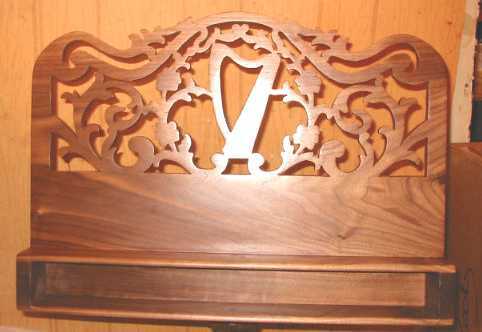 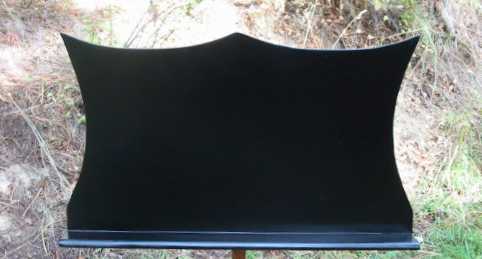 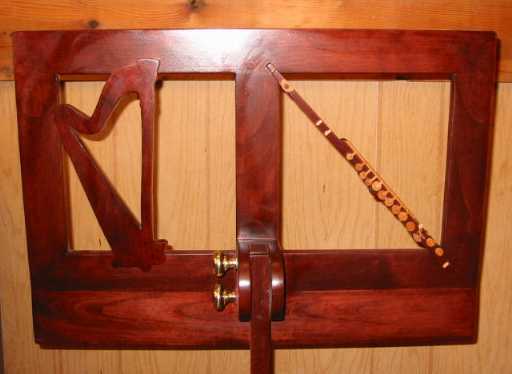 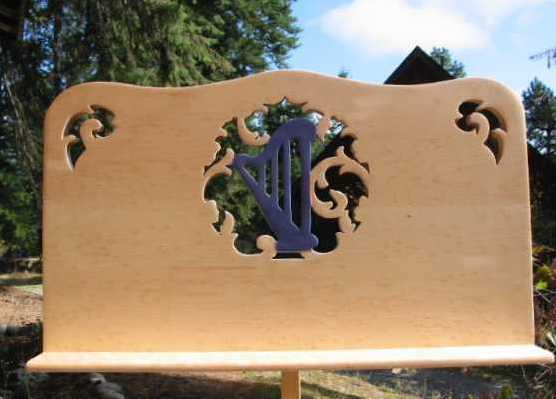 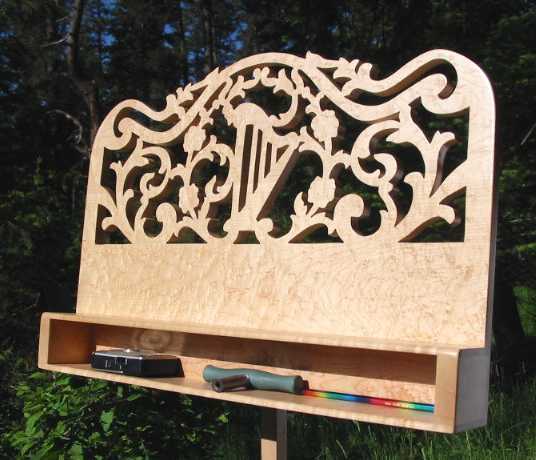 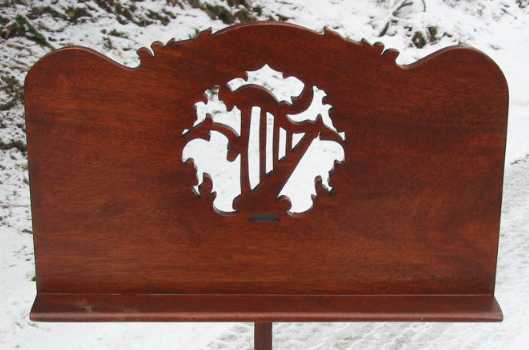 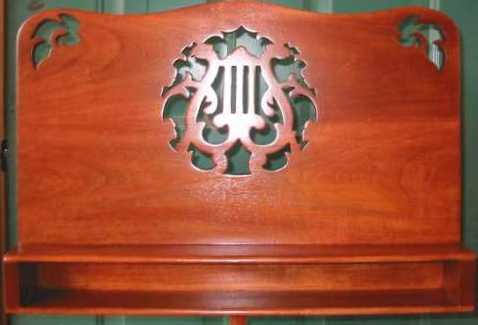 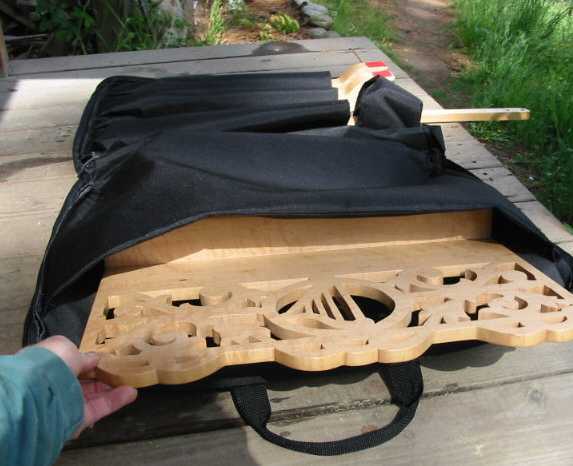 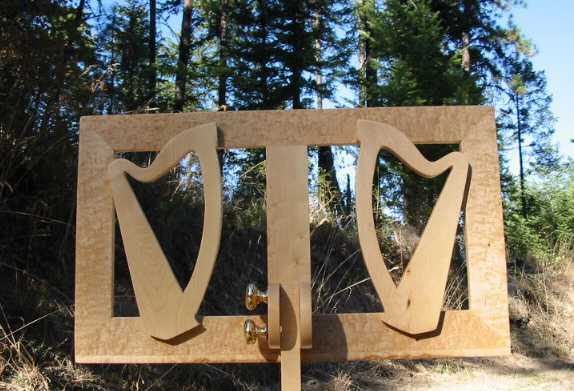 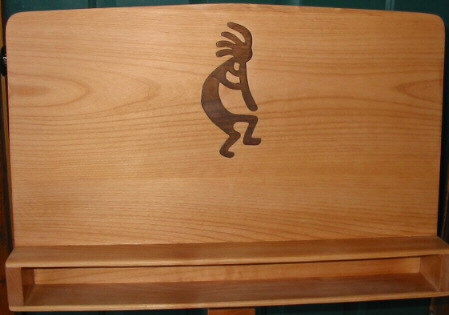 Most pedal harpists have there stand at 30" Folk harpers is at 26"
The Tulip Lyre with harp stand is $ 385.00. 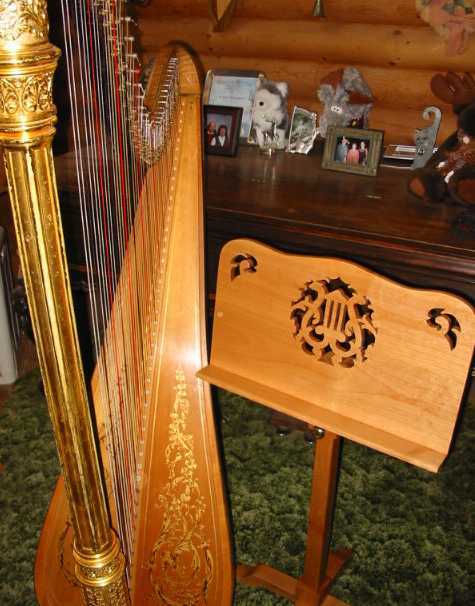 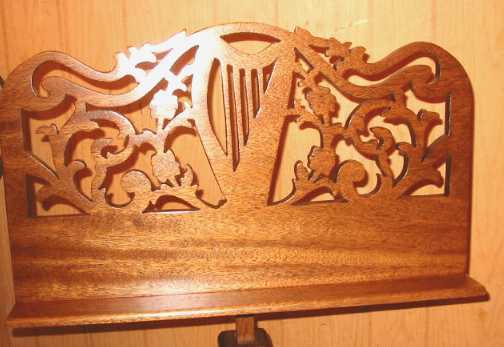 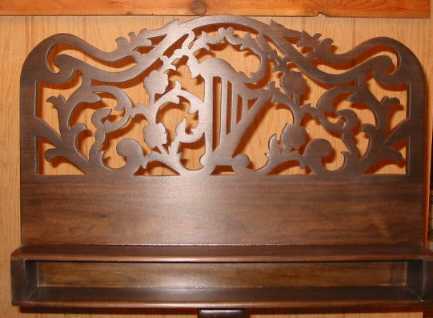 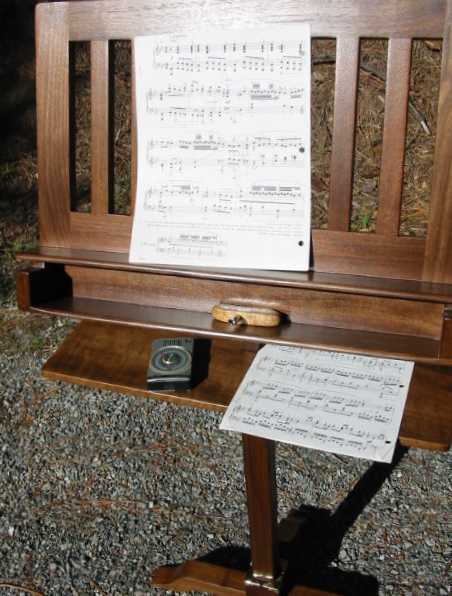 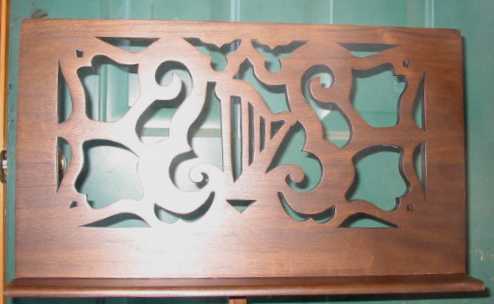 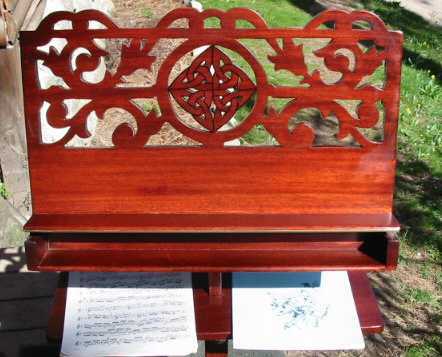 The Victorian Lyre with Harp music stand is $ 395.00.